Well we made it! …made it to and through another threshold to a new year. That alone is worth being grateful for since there are many who where with us January 1, 2013 who are no longer walking and talking with us today. I’m both grateful and excited as I anticipate a most thrilling experience in the next 360+ days. Part of the excitement stems from the fact that I am “one of” nature’s greatest miracles. On January 1st, my Master Key Mastermind partners and I moved to the 4th Scroll from the Greatest Salesman in the World by Og Mandino. It states as a theme that “I am nature’s greatest miracle.” Indeed I, as all humans are miraculous creations. Truly phenomenal!! You may have noted in the previous paragraph that I stated I am “one of” nature’s greatest miracles because when I think of the greatest miracle I automatically think of Jesus Christ and His works and together they rank in my book as indeed the greatest miracle ever. Some may moan and groan in response to that statement while others will immediately agree with me. 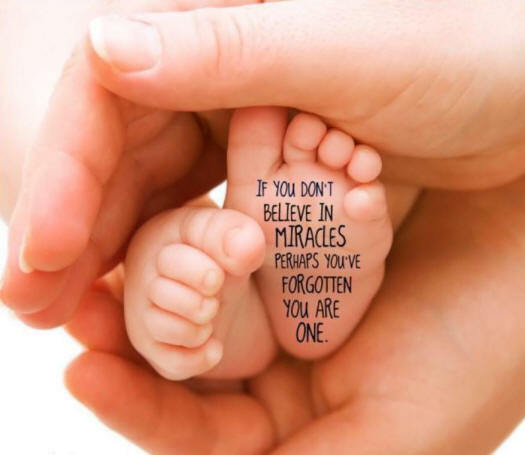 Either way, I hold to that belief and embrace the fact that I was created in His image…that makes me indeed a great miracle. It is true that since the beginning of time never has there been another with my mind, my heart, my eyes, my ears, my hands, my hair, my mouth, etc. and never will be. That being true for every human is miraculous in itself. The big question for all of us walking, talking miracles is what will we do with such potential for greatness (or greater as Steven Furtick puts it)? It’s very important to recognize what is possible but even more critical to clarify and press for living full out. As the scroll goes on to indicate, nevermore must we be satisfied with yesterday’s accomplishments or indulge in self-praise more than self discipline as it relates to expressing greater. As indicated, these scrolls are from the book, The Greatest Salesman in the World and the basic focus of intent was for literally becoming a great salesperson professionally. I pose an expansion of the concept to be bigger than a professional application. We are always “selling” in life…an idea, a position, a desire etc. The question to you, great miracle, what will you do with your greatness potential and what will you be selling in life? Whatever it is, make it big, great and miraculous!! A great new year to you!! I too love Scroll IV Paul. So exciting to be on this journey. Happy New Year to you and looking forward to the next 3 months especially. Really sorry Celeste, I put the wrong name in my comment. Please accept my sincere apologies. Have been reading lots of blogs and forgot which one I was commenting on. No problem Sandra. I’m am so not that sensitive! Happy New Year!! It is very exciting to think about and visualize what can come from allowing full potential to develop. Wonderful Celeste!! I absolutely love this scroll and amazing how get caught up with life that we forget that we are nature’s greatest miracle.